Railpictures.ca - Rob Smith Photo: GECX 7328, PRLX 228, and NS 6911 slowly lead X384 past Copetown. The engineer appears to still be in good spirits despite having a junker leading the consist. I’m sure the crew was thrilled when they saw their consist in Sarnia. | Railpictures.ca – Canadian Railway Photography – photographie ferroviaire Canadienne. Copyright Notice: This image ©Rob Smith all rights reserved. 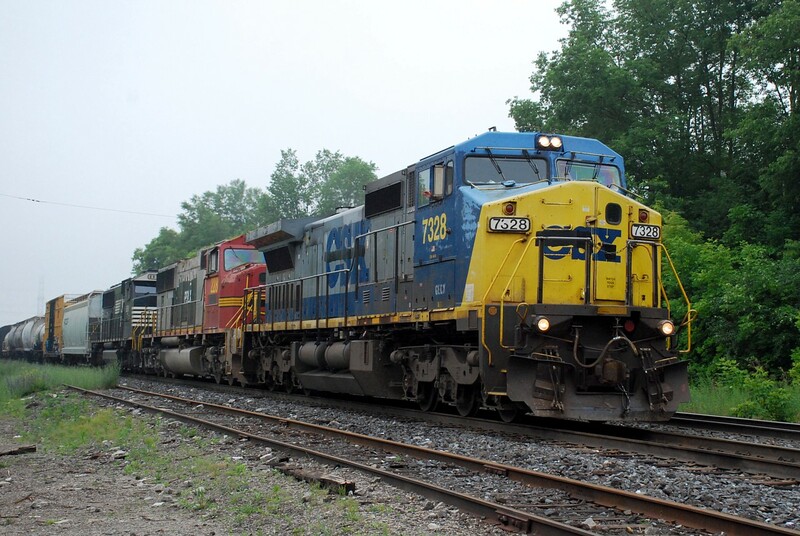 Caption: GECX 7328, PRLX 228, and NS 6911 slowly lead X384 past Copetown. The engineer appears to still be in good spirits despite having a junker leading the consist. I'm sure the crew was thrilled when they saw their consist in Sarnia. Consists like this need good coverage. Glad you were able to catch too.